It’s always fun to travel somewhere with your loved ones. What you think of a trip to some hill stations or some beaches or somewhere you would love to go. All these are OK but for this, you need to select a place, then book your tickets and last you pack your luggage. But, wait have you ever checked how good or bad is your bag? Is it safe to take all accessories in that backpack? 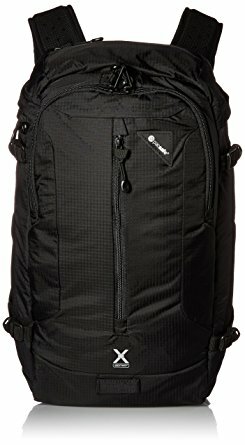 If you are looking for a bag that is completely safe to carry for your tour, i.e. 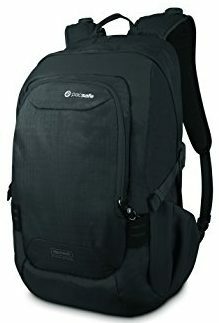 Anti-Theft, then here we have got the best guide to choose the best anti-theft backpacks for your tour along with some great tips. We have also selected the best anti-theft bags that you should consider buying from Amazon. Not only this, we have also included their review with full pros and cons to give you a brilliant idea of how the bag would work for you. 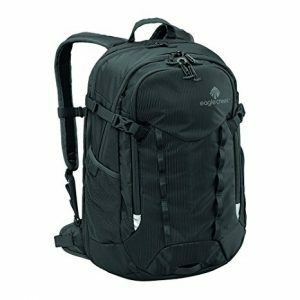 Based on those comparisons, reviews and pros and cons you can easily select one of those best 10 most secured backpacks for your tours. The market of today is flooded with various kinds of backpacks including waterproof backpacks, lightweight suitcases, etc so it becomes a little difficult for the customers to choose the best product for them. There are various points that you need to look after before you buy a backpack for you. As the matter is of security of your accessories and valuables you should not take any kind of risk and take the right decision while choosing a backpack. This is more important because the bag is not beside you or in front of you; it’s behind you or under the seat (in a train/bus) where you can’t see what exactly is happening with the bag, so you should be well concerned about your security. 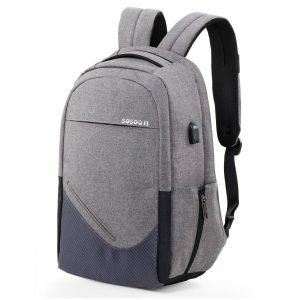 Choosing the right anti-theft and secure backpack would be overwhelming, mostly because of the various different kinds of bags available in the market. Well, you should be now tension free as we have the best points that you should keep in mind while buying an anti-theft, durable and fashionable bag. So let’s have a look at that. You should consider and examine the details provided on the site clearly before you proceed to check out. Look after the bag if it is specifically designed for an anti-theft purpose or it is just a simple and ordinary kind of bag. Also, check if it has the RFID Blocking technology that will keep your identity cards (like Passport, Voter ID Card, Driving License, Aadhar Card, etc.) or credits cards and debit cards. This is something you should certainly consider before buying the backpack. Again, clearly check out the details like if it has the RFID Blocking technology to keep your identity cards and other cards safely. And also it has the hidden pockets and additional features that would make it the best one out there. Not only this, also consider of the zips are strong enough as well as there should be some hidden compartments inside the backpack to keep your super valuable items safe and secured. This is technically the structural design and the size that you need that meet your requirements. Like consider that you have to go for a business trip for two or three days, so it will be useless to take a large bag as it is heavy to carry and difficult to handle as well. Or in case if you are going for a trip or adventurous trip to some hill station for a week or so then you would probably consider carrying a large sized bag so that you can everything easily in a single bag. Besides this you should well examine the pockets (both outside and inside), compartments and zips, if they are all okay or not. Also check how you are going to carry the bag, whether it has lumbar support and padded shoulders. This is as important as the security because it will only decide how long the bag can be used. You should well check the sturdiness and build quality of the bag before you buy it. If you’re investing enough why not choose the best product to try to get waterproof backpacks to keep your valuables and accessories completely safe and secured. Also, check if the straps and zips are of good enough quality so that they won’t break even when you pack the bag to its maximum. Who does not want a stylish and modern looking bag with eye-catching colors? Well, you should get the one just like this. Most of the people have black or dark blue colored bags because f which all look identical. So, I personally prefer to buy a different color bag that looks attracting and funky and can be easily pointed out of the sack of bags. Some bags can be easily converted into a day hike or similar trip bag when you don’t need a heavy bag for a long trip as you will barely come over in a day or so from camping or hotel. This is very useful for camping or skewing or picnics. Most of the bags of today come with an inbuilt locking system out of which majority of the locks are number patterned so can be easily broken if not made properly. Also, if they are well built you should keep a good enough password and change it frequently to avoid theft. And if has some other kind of lock like fingerprint scanner then it is very good for your security. So, My Friends, these were some quick points that you should remember and the tips that should be kept in mind while buying the best bag for you that fulfills all your requirements. Although there are various types of bags available in the market from all different brands, the one that will suit you is a little difficult to find. But my friend you should not worry at all because we have separately brought to you features, pros and cons of 10 best bags in the market, out of which one would be the best for you keeping in mind all the points, pros, and cons. Here we go with those bags. This daypack bag from one of the best bag maker brand Pacsafe is made of 100% Nylon material. It has a zipper closure with the advanced zipper closing security technology to protect it from pickpockets and theft. And the adjustable wire-reinforced Carry safe Splashguard Strap helps prevent cut & run theft. Let’s have a look at its other features. Lightweight and durable daypack with anti-theft technologies ideal for long hikes, adventures abroad, your daily commute, and as a handy carry-on. VentureSafe X22 bag from one of the best bag maker brand Pacsafe is made of 100% Nylon material. It has a zipper closure with the advanced zipper closing security technology to protect it from pickpockets and theft. It has adjustable sternum strap along with multiple compartments that make it even better. Let’s have a look at its other features. MetroSafe LS150 bag from one of the best bag maker brand Pacsafe is made of 100% Nylon material. It has a zipper closure with the advanced zipper closing security technology to protect it from pickpockets and theft. 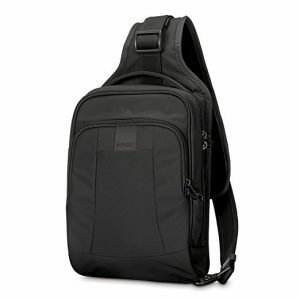 It is a sturdy and durable backpack with anti-theft functionality and various security options. Let’s have a look at its other features. This classic bag from VIDENG POLO® is a durable bag made of 100% genuine leather that has smooth metal zippers and you can handle it in different ways like handbag or trolley bag etc. Let’s have a look at its other features. Solid hardware and delicate lining. Made from the highest quality genuine leather with well-sewn skill, combined with vintage design and classic colors. You can carry this bag in three ways: Hand strap shoulder strap or Hold on the trolley with wheels. The briefcase is processed by special RFID block materials; you can keep your individual information secure from RFID equipment. This superior bag from Eagle Creek is made of ripstop nylon material that has too many features that will prevent pickpockets and theft. The RFID blocking technology and zippered mesh pocket make it even better than others. Let’s have a look at its other features. 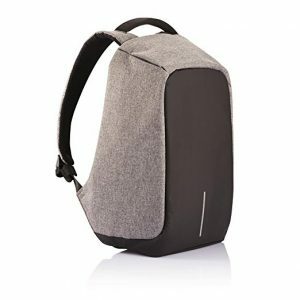 Bobby anti-theft backpack is one of the most popular backpacks by XD Design that has the cut-proof material and hidden zipper closures along with secret pockets. 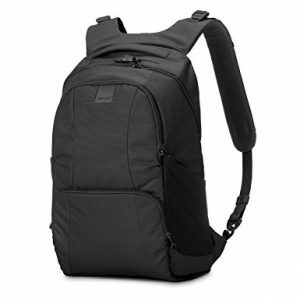 This one is a safe and stylish bag at the same time and the most convenient anti-theft backpack. Let’s have a look at its other features. Personally, from my point of view, this is one of the best anti-theft secure backpacks available. Keep your travel cards in the shoulder strap pocket and valuables on the side flap of your shoulder straps and your wallets inside the small pocket at the back of the bag. The front and the bottom of the backpack are made of water-repellent fabric coat. This bag from Travelon is made of tear resistant and anti-scratch fabric that makes it more durable than others. The hidden zipper and invisible pockets located on the back keep your laptop and other valuables safe and handy. Let’s have a look at its other features. Made of water repellent, tear-resistant and anti-scratch oxford fabric for lasting durability. The hidden zipper and invisible pockets located on the back keep your laptop and other valuables safe and handy. The innovative weight balance design makes you feel 20%-25% less weight. You can easily and conveniently charge your phone, tablet and other devices without opening up the backpack. The body side and shoulder straps have excellent thick breathable mesh padding, offering your back plenty of cushioned comfort. This bag from one of the best bag maker brand Pacsafe is made of 100% Nylon material. 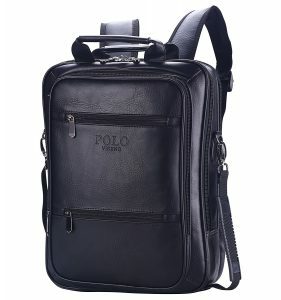 It has a zipper closure with the advanced zipper closing security technology to protect it from pickpockets and theft. Let’s have a look at its other features. When you travel the first thing that is required after tickets are the backpack that you carry with you and take all your clothes, daily needs, and valuables in this bag. So, you need to be very clear and have a proper idea of the bag that you should buy. Although, you may or may not want a bag same purpose every time, so we have given have some useful tips that you should keep in mind while buying a backpack that is totally safe and secured. Along with that, we have also written down on best backpacks that you should consider buying for your different tours and travels. Do let us know, what is the purpose of which you are going to buy a bag and also share with us how was your personal experience with that bag. SwissGear Sion 21″ Review – Is this luggage a bang for your buck?